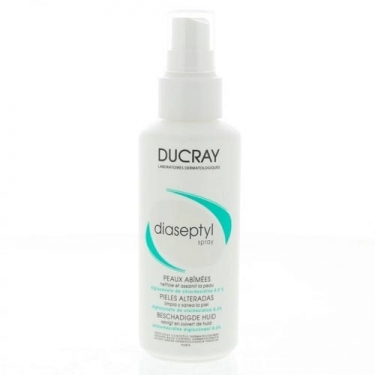 DESCRIPTION: Diaseptyl Spray from Ducray is a spray suitable for the antiseptic cleaning of irritations or wounds. It cleans and disinfects the irritations or wounds, preventing infections. It is painless. Suitable for babies, children and adults. Apply directly or with the aid of a compress, on the wound or irritation.